20 Mini Bows for decoration mixed pastel shades. 20 Mini Bows for decoration white. Box of stitch pattern grosgrain coloured ribbons with 12 m of ribbon in 1m lengths. This is a very soft ribbon in a rainbow of colours. Box of blues and greens coloured ribbons with 12 m of ribbon in 1m lengths. 3 of each of the 4 designs. 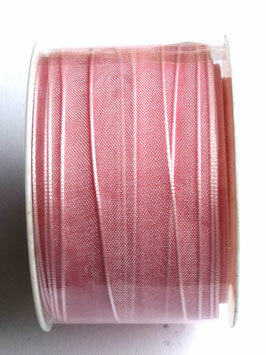 Box of orange, brown and aqua coloured ribbons with 12 m of ribbon in 1m lengths. 3 of each of the 4 designs. Box of pinks, reds and browns coloured ribbons with 12 m of ribbon in 1m lengths. 3 of each of the 4 designs. Box of yellow, brown and turquoise coloured ribbons with 12 m of ribbon in 1m lengths. 3 of each of the 4 designs. 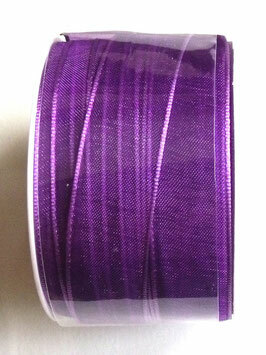 Box of shades of purple coloured ribbons with 12 m of ribbon in 1m lengths. 3 of each of the 4 designs. 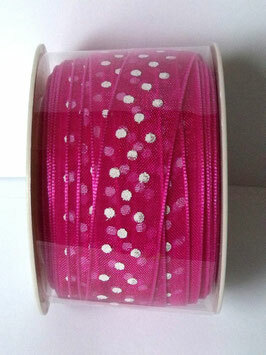 Box of red and white coloured ribbons with 12 m of ribbon in 1m lengths. 3 of each of the 4 designs. 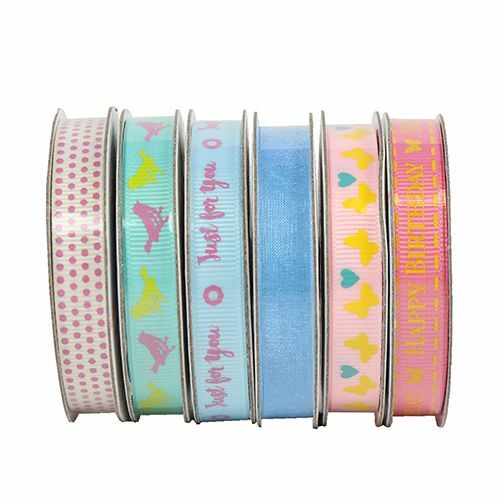 A collection of 6 designs - 6 reels - each reel 2m lengths of ribbon including: grosgrain ribbons featuring printed sentiments, butterflies, birds and polka dots. Also features a baby blue organza ribbon, perfect for adding a finishing touch to your crafts. The collection of ribbon designs on offer will be fantastic for crafts, home decor, gift-wrap and more. 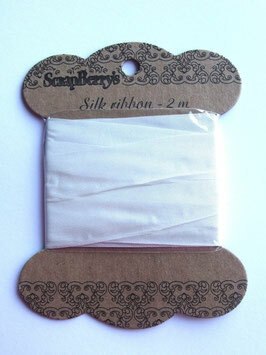 2m of White Silk Ribbon 15mm wide. 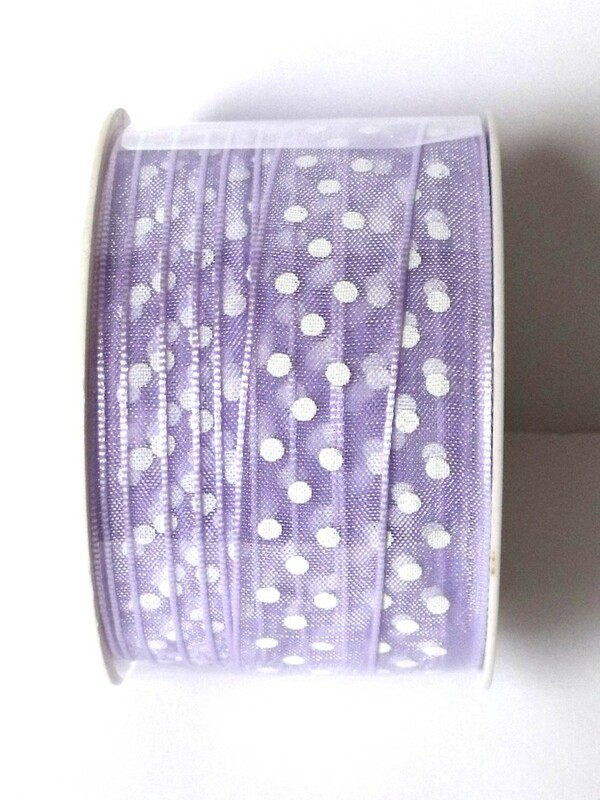 15mm wide berry colour organza ribbon with white dots. 20metre roll. 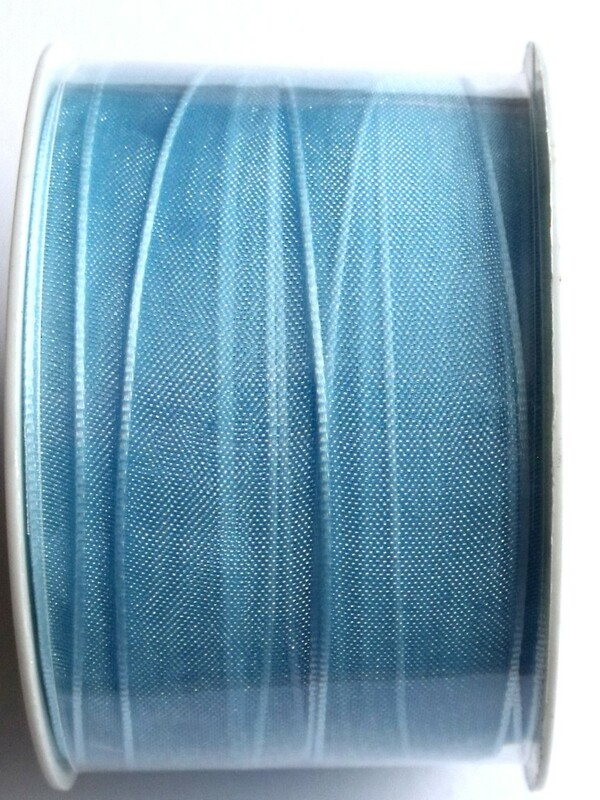 15mm wide turquoise colour organza ribbon with white dots. 20metre roll. 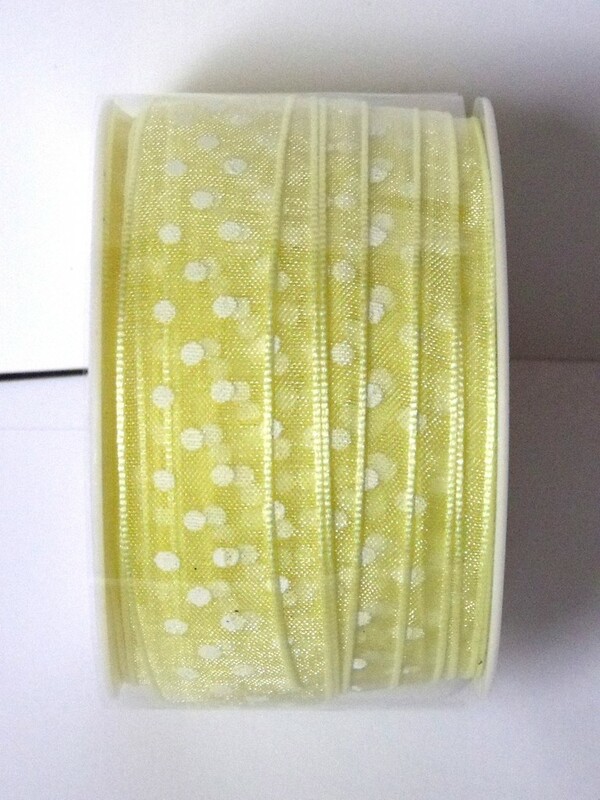 15mm wide lemon yellow colour organza ribbon with white dots. 20 metre roll. 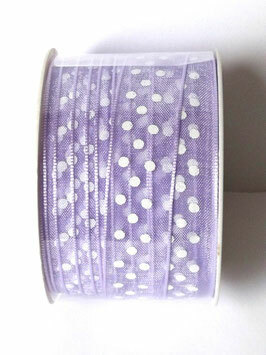 15mm wide lavender colour organza ribbon with white dots. 20 metre roll. 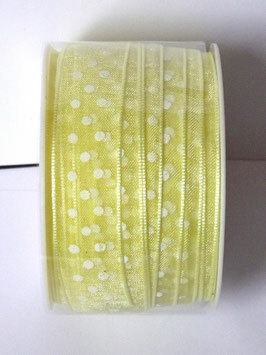 15mm wide olive green colour organza ribbon with white dots. 20 metre roll. 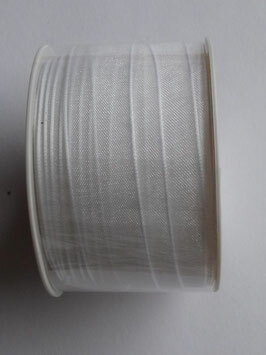 A 20m roll of 15mm wide fine Organza Ribbon. 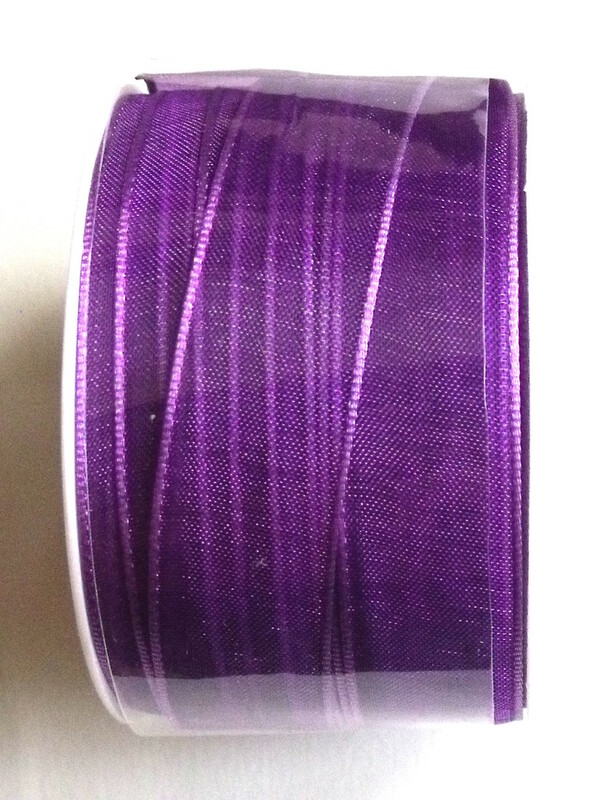 A 20m roll of 15mm wide fine Organza Ribbon in Purple. 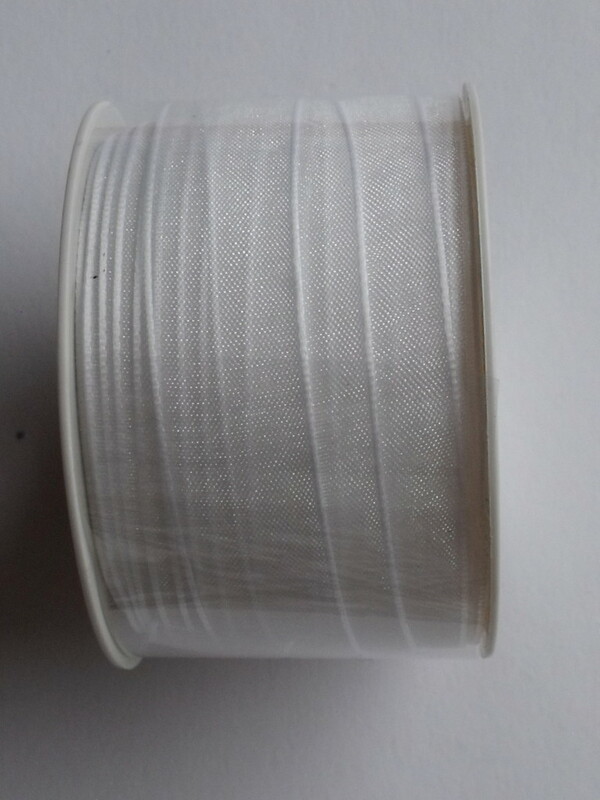 A 20m roll of 40mm wide fine Organza Ribbon in white. Gold coloured fine cord, thickness 0.5mm. 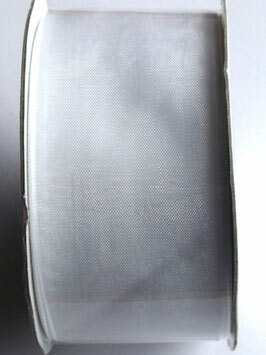 Use for decorative hangings - a fine cord with a metallic sheen. If you order multiples of one metre, it will be left in one piece (not cut into one metre lengths).